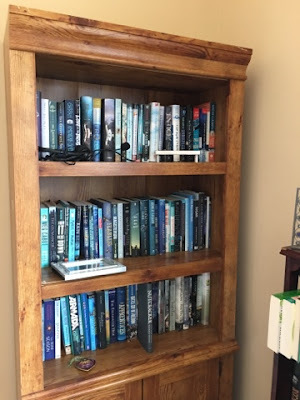 Tour your bookcase for us! Well, I have several. They started out well organized. The bookshelves themselves are still pretty organized, but the floor around them is not. These are my BEA books for this year. My goal is to read them and donate them to a school library, so I'm not shelving them (at least that's how I justify the slovenliness). 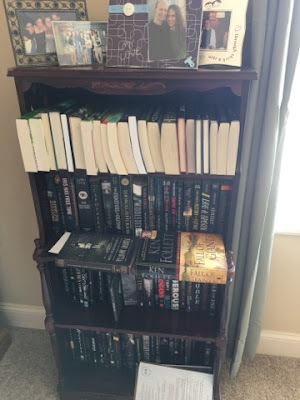 I can't have all my books vertically. They won't fit. 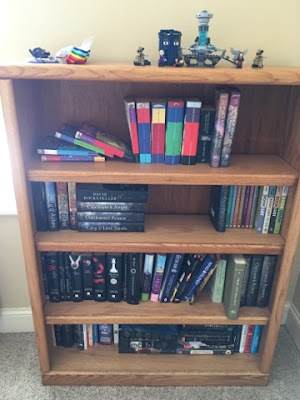 When I am in the mood - with extra cash, I'd like to buy a small thin book case like yours. 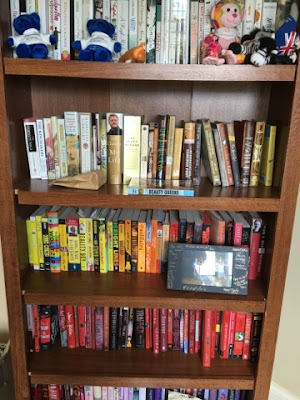 Ooh color shelves!! Very nice! 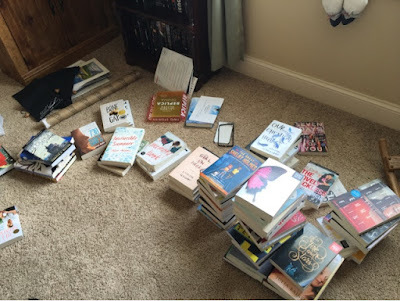 That should be another post prompt: show us your TBR pile(s)! LOL! Nice pictures! Following on Facebook and friend requested on Goodreads.